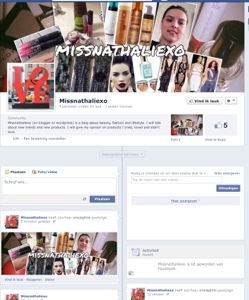 From now on you can find missnathaliexo on facebook! Don’t forget to like missnathaliexo on facebook if you want to be notified on new updates and info. This entry was posted in Uncategorized and tagged facebook, missnathaliexo by missnathaliexo. Bookmark the permalink.